Another favorite of mine!! 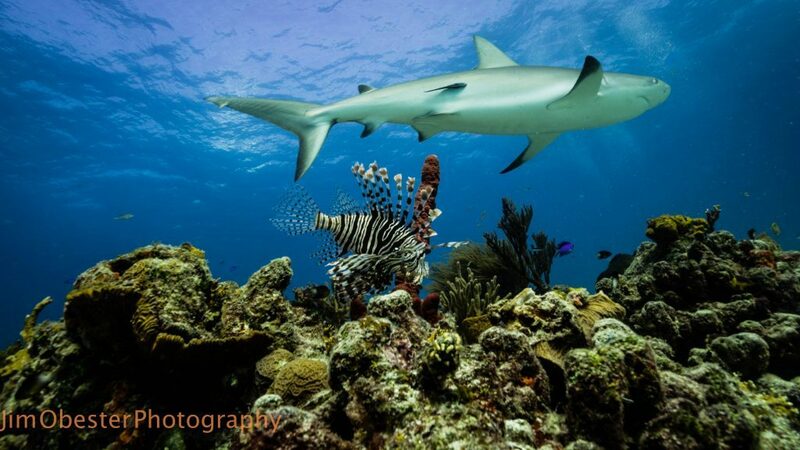 Caribbean Reef Shark glides over a reef with a Lion Fish. Lion fish are an invasive species. Nice blue background too.